There are many ways to make money online, from blogging and affiliate marketing to ecommerce. Ecommerce has become big business in the past few years and it is sure to only grow further in 2019. Ecommerce sales currently amount to over $2 trillion dollars a year, and are expected to hit $4.5 trillion in 2021. Of those sales, $118 billion were by Amazon marketplace (third-party) sellers.It’s not easy to build any business and Amazon has become quite competitive in recent years. It’s getting harder to make sales and that’s why we took a look at how to rank on Amazon in 2019. If you are looking to build an ecommerce business this year, there are a few ways to do this. 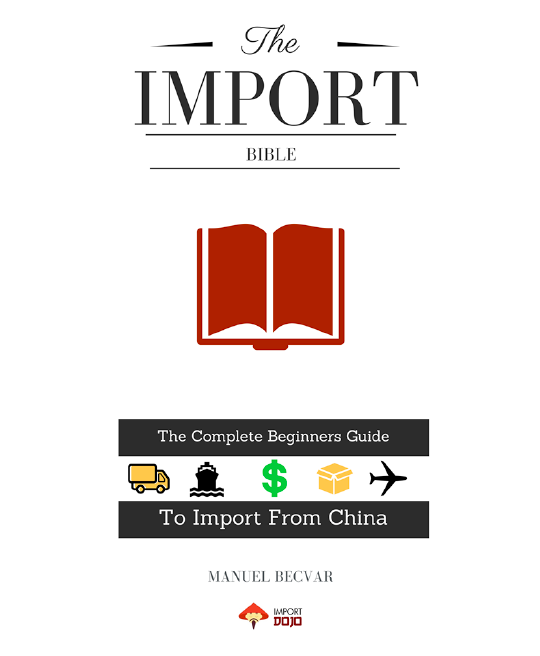 In this article, we will look at one of the easiest and effective ways: as a seller on Amazon. Specifically, we will look at how to rank your products on Amazon in order to drive traffic, increase sales and grow your business. As any online business owner or ecommerce seller knows, driving traffic to your listing is critical to be able to secure sales and revenue. Conversion is important, but you need the visitors to come in the first place so that you can convert them! In turn, ranking your product is the number one thing you can do to increase traffic to your listings if selling on Amazon. Why is ranking on Amazon so important? Consider this: there are now over 6 million sellers in the Amazon marketplace, meaning that every time a user makes a product or clicks on a category you can imagine how many results they are given. Most users do not look past the first page of results (or even first few product listings), so it is critical to rank your product on page 1 and preferably in the first three product listings. Ranking on Amazon is a complicated process, and it all comes down to the algorithm Amazon uses to rank products, which is known as the A9 algorithm. Most people selling on Amazon these days know that the site has an algorithm it uses to rank search results. Many people, however, make the mistake of thinking it is like Google’s algorithm. Although there are some similarities, namely that one of the major factors the algorithm looks for is relevance, there are some key differences. The biggest difference is that Amazon’s algorithm has one job: to point users to products which are most likely to sell. This is because Amazon, unlike Google, is not a third-party which is disinterested in the results it is presenting to users. (This changes of course in the context of paid advertising and sponsored results, but this is intellectually true in general.) Amazon is a business, which takes commission from the sales made on its site, and therefore has a vested interest in promoting those search results which are most likely to translate into actual sales. The A9 algorithm is extremely clever, and has actually been quite revolutionary. A9 was the first to use techniques which were later taken up by Google and others, such as adapting SERPs to users’ browsing habits, and visual street views. Despite all this, Amazon’s A9 algorithm is not well known by most users and even many sellers. This is largely because Amazon has not promoted their search technology because they are not a search engine. They are a business. It is worth mentioning that in this context, “ranking” on Amazon refers to organic rankings. That is, the products which are listed below advertising for each search query. It is also worth mentioning that the A9 algorithm is relatively simple compared to Google’s algorithm, with far fewer ranking systems, which means that it is relatively simple to work with the algorithm and successfully rank products if you know how it works. 1) On-page signals. These are things which you can add to your listings such as keywords to encourage the A9 algorithm to rank your product. 2) Off-page signals. These are external factors, many of which will be somewhat or entirely out of your control. They include things like what your competitors are doing and you customers’ shipping history. Use the correct keywords to rank your product. This will involve extensive keyword research, using software such as Viral Launch or Helium10. Importantly, this should be an on-going process which continues after you have launched your product, to track how your listings are ranking overtime for your primary keywords. Implement effective on-page optimisation by including these keywords in certain parts of your listing, namely the product title, bullet points, and product description. On-page optimisation also means ensuring these elements are written in a way which will maximise conversions, and having images which do the same. Have strong sales. Amazon values revenue-generation potential above else, therefore if your on-page optimisation is terrible but sales are strong your product will rank regardless. Create a perfect storm through having the right product at the right price, encouraging great views, having a lisiting which converts and applying external marketing strategies to supplement traffic driven through your ranking. Look at the product you are selling. Right back in your product development process, use competition analysis and market analysis to choose a product which will rank and sell better. You want to choose a product with adequate consumer demand but without excessive competition or very strong competitors. To build a successful eCommerce business on Amazon, one of the most important things you can do is develop a solid understand of the A9 algorithm, and how to use it to your advantage. This will allow you to rank your products, and in turn drive sales, increase revenue and grow your business. Let’s dive deeper into the material below. In this stage of the post, we’ll be outlining everything we recommend as a part of the ‘pre-optimisation’ process. This involves all actions that need to be taken BEFORE you even start optimising the code and content of a listing. Most of these relate directly to the way you do your business. Needless to say, these are all extremely important. It’s quite likely that you have already completed these – but if you haven’t, you need to sort that out ASAP! Competition analysis involves determining what product or products to launch into a marketplace and how competitive the landscape is for your chosen channel. You can implement competition analysis over an entire industry, but for obvious reasons we’ll be analysing Amazon only. We can do this by looking at the positive and more importantly negative reviews of similar products in the marketplace and analysing if adding simple features to the product will add long-run improvements. This is a process we’ve used for multiple personal and client projects with great success. Something you may determine to be irrelevant could be the difference between the scathing 1 or 2 star reviews and the glowing 4 or 5 star ones! Is there enough demand in the marketplace to justify our entry? This is a more important question for larger companies that want to earn a certain amount once established within Amazon. Smaller sellers and just-starting-out businesses should still do this – just not as rigorously, while paying more attention to the point below. Cash flow budgeting is a critical pain point that bottlenecks the growth – especially for smaller sellers. If profit per month once established is estimated at $50,000/month but it’s going to cost around $200k to reach this point, is this something we can invest in? Simple question if the figures are on point, more difficult when there’s a lot of estimation going around. Similar to the above point, what’s the investment to gain initial share in a market for this product? Although accurate figures are incredibly difficult to arrive at, simple common sense will help you understand whether you should be targeting a particular term/keyword or looking into something less competitive. Luckily answering these questions isn’t overly difficult with the use of a number of advanced software on the marketplace. My personal favourite in 2019 is Helium10 but you can see our massive list of Amazon seller tools here for more ideas. All this information is essential to develop a proof of concept before starting a campaign. You want to be 100% sure you have as good a product as a competitor (if not better), or, in the least, you can differentiate yourself in some way – which brings us on to the next part. Who are you looking to sell to? What are their traits, tendencies and desires to purchase? If you already have a product developed, branded and packed, this should be relatively obvious from your branding. If not, you may want to consider going back to the drawing board. Premium ‘name’ brands vs price-oriented ‘value’ brands (We have discussed this point at length in our pricing strategy post). Both strategies, when implemented correctly, work great. A word of caution: Please don’t try doing both at the same time. Understand your brand and target audience and simply market to them. It’s very interesting to view within Amazon’s reviews of similar products that positive reviews of premium priced products almost always talk about “quality” “love of the brand” or “the best”. Whereas the price oriented positive reviews tend to focus on “great for the price” “great value” etc. Ironically the negative reviews are along the same lines, with negative reviews of premium priced products stating “poor value for money”, and negative reviews for price-oriented products focusing on more broad “low quality”, “broke straight away” type reviews that talk about the product than the price. 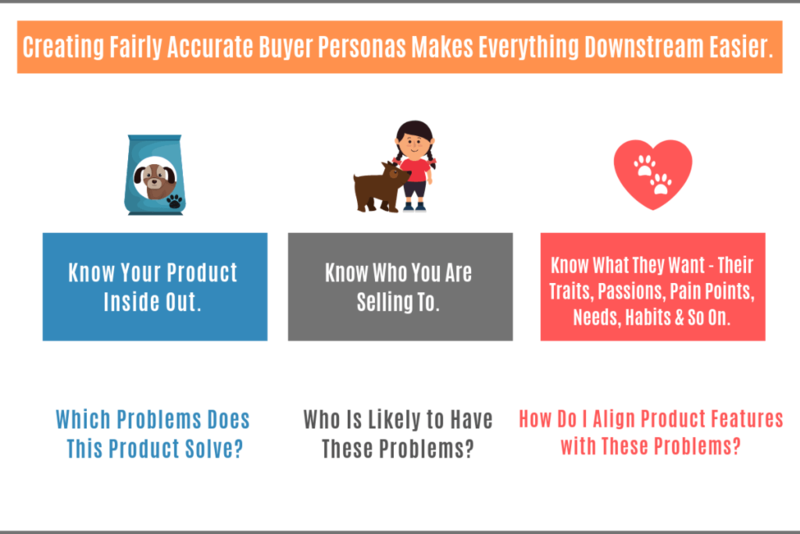 There’s a lot of information on buyer personas and target audience creation online. In fact, there’s probably too much information and it’s very easy to lose the focus. All you need to realise here is that even though the scope of organic rankings within Amazon is limited, you will still be selling to real people with real personalities, needs and expectations. Understanding the target audience takes you one step closer to making a real world connection with your potential customers. Just as importantly, this helps when it comes to the copywriting & on-page optimisation stages of a successful Amazon SEO campaign. It wouldn’t be SEO without keyword research! Amazon recently announced they’d closed a “loophole” that allowed third parties to generate accurate keyword data for sellers to use. The function of keyword research for Amazon is to discover search terms your target audience are using within the Amazon search engine to look for similar and related products to the item you are going to launch/sell. The more accurate you can build your keyword research, the easier the optimisation process becomes. In the ever-shifting Amazon universe, nothing really stays the same. New features, new trends, new products and new sellers – there are enough forces out there trying to dislodge your listings from the top of the Amazon SERPs. To make sense of all this chaos, it’s essential to track keyword rankings day in and day out. Organic rankings for your specific keywords should be considered a major ecommerce KPI to your Amazon business as any drops will massively impact sales. Tools like KeyworX do this for you automatically on a daily basis. Once you spot the problems and identify potential reasons for drops, it becomes infinitely easier to fix the impacted listings. Once buyer personas, keywords and competition analysis have been completed, it’s time to launch on Amazon. How to Add Products on Amazon the Right Way? You’re here to learn How to actually rank a product first in Amazon. The process starts right here: with on-page optimization. Once live, Amazon’s algorithm will crawl your listing and analyse its content to determine what you are selling. It will then categorise the on-page content and combine it with all other signals to “rank” you in a certain position based on what the customers are searching for. This is how all search engines work: They have multiple signals that are used to determine the relevancy of the search result (whether that be a website or a product) and then rank these results based on the “score” that’s received. The higher the score, the higher the rankings. On-page optimization is a part of this “score” we can control. Although on page optimization ISN’T the part that carries the most weight, we need to pay a great deal of attention to this simply because it’s 100% within our control. And you can be sure that your competitors are trying their best – 24x7x365 – to out-perfect you here. Amazon product listing optimization is broken down into 6 major parts. To get an idea about these, we’ll tackle each point separately. In the interest of sharing content on here as well as on Tom’s page, Tom has written and laid out the entire strategy here: https://amazonseoconsultant.com/amazon-seo/ and I wholeheartedly recommend to continue reading. I’ve already implemented a few things and I can already tell the difference in traffic and sales.